Louis E. Norman II started Enormis Mobile Specialties in Harborcreek, Pennsylvania, in June of 1999. Lou even wanted the name to stand out. Can you see how “Louis E. Norman” became “Enormis”? When we first opened, we were called Enormis Audio and Electronics. In the span of only a year, it became evident that there was a huge need for a reputable automotive electronics shop, so we changed our name to Enormis Mobile Specialties Inc. Our primary focus became Erie’s Automotive Electrical Experts! Lou had already been in the business for over a decade and saw a void in the marketplace. He developed a vision for a store that would be clean, modern and aesthetically pleasing. He wanted the most talented employees and would treat them right. He wanted to create an environment where clients would feel good about referring their friends and family. A store where the attention to detail and the level of customer service would be unmatched in the area. On a leap of faith, he opened the doors and has never looked back. Today, Enormis is the area’s leader in automotive electronics. We pride ourselves on quality workmanship while staying up to date on the latest advancements in automotive technologies. 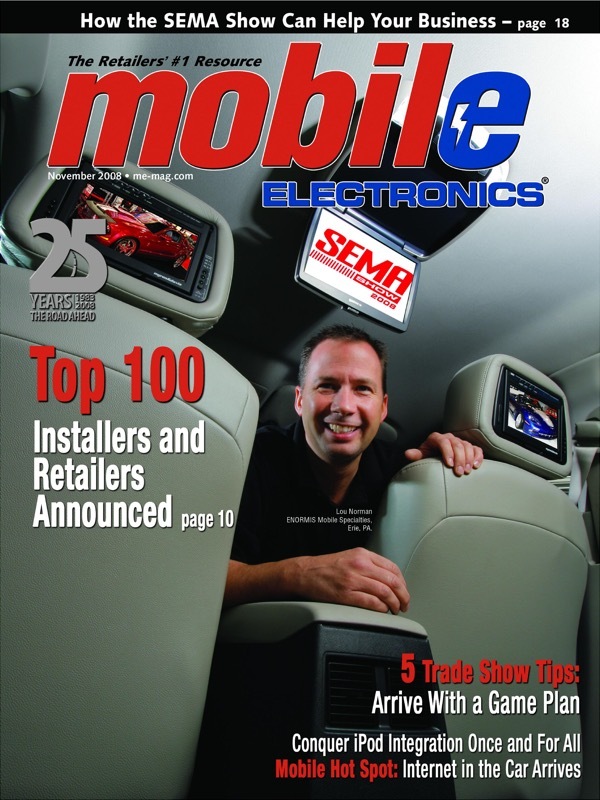 We are proud to have been named one of the Top Mobile Electronics Retailers in the Nation seven years in a row! We invite you to stop by our state-of-the-art facility and get to know us. Many of our clients tell us they were blown away by all of the services we could offer them. We are conveniently located on route 20 in Harborcreek. Please keep in mind that ENORMIS Mobile Specialties is a retail store located in north western Pennsylvania. We do not ship parts. If you are not able to bring your car to our facility in Harborcreek, PA, we will not be able to provide you with service.